The picture above illustrates one of the main problems with book to film adaptations - that key plot points and character details are deemed unimportant by the film-makers but of utmost importance by the readers. 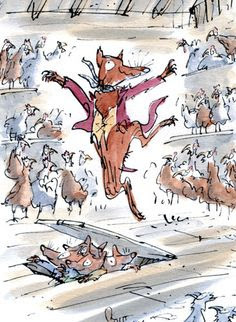 The is often much more upsetting when it comes to children's books because we, as readers, have so much more ownership of a book that was part of our childhood - as Harry Potter was to mine. Harry Potter is a good standalone example because it is such a huge franchise (particularly before the current YA adaptation obsession) and genuinely equally as loved prior to the films being made. All these points may seem like rant, but the world created is so expansive and invites us to be part of it over such a long period of time - to not bother making these things as they really or as we imagined them is insulting. Harry is supposed to have black messy hair, green eyes and be tall and skinny - NOT have brown flat perfect hair, blue eyes and be short and stocky. These are not minor points and would have been easy to fix. Hermione is supposed to have big horse teeth and huge bushy hair - NOT be very obviously the most attractive girl in the year. Again, this is important to her character and the way she carries herself. Sirius is supposed to be tall and domineering and be a skinny, half dead mess when he leaves prison - NOT be short and covered in pointless tattoos. The Shrieking Shack chapter/scene in the Prisoner of Azkaban is the most important in the whole of the first three books and it was just glossed over in 3 minutes in the films, in favour of male bonding in the common room and kissing in the corridors. The readers of the books and their childhood imaginations should be more important than Alfonso Cuaron's empty shallow stylistic tastes. The actors who play Harry's parents, James and Lily, are around 40 years old, despite the fact that they were in their very early 20's when they died. I imagine they made them the age they would have been if they had lived to make them seem believable as parents but I find it insulting, and a pointless oversight. 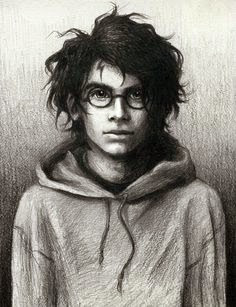 Wizards are different than Muggles, they live in a completely different world that is largely independent to the one we would live in - thus, they wear robes, not jeans. People can still enjoy a film if everything isnt made as palatable and as much like our own lives as possible you know - another unnecessary change. Huge, character building moments are left out in favour of silly crap (see Shrieking Shack), like Percy and his relationship with his family and S.P.E.W. I would rather they basically omit characters like they did Charlie Weasley than make a pathetic job of it and give them a generic line in every film - Tonks/Bill/Fenrir Greyback. Lavender Brown is a black background character until she is required to step up and kiss Ron, and then she becomes white - I am surprise J. K. Rowling didn't complain about this. 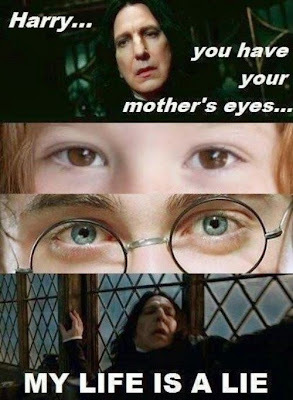 Some good point do exist - we do like the close knit team of Harry, Ron and Hermione. Alan Rickman as Snape carries the later films, Harry longing for his parents and Sirius feels real, Hogwarts looks and feels like a place you would want to be - not quite good enough though. Yes, that did have the air of a rant about it, and yes, changes and omissions are to be expected in an adaptation - I agree that the soul of the book is more important than the body. However, in instances where more than this has been changed we still get a better overall film because the makers are not pandering to a studio and toy manufacturers in quite the same way. The Railway Children by E. Nesbit - Beautifully old fashioned. If I come across it on TV on a weekend I simply can't not watch it. Kes by Barry Hines - Barely a children's book, but it used to be a GCSE text when I was at school. This film is perfect. Its not exactly entertaining (apart from the football scene) but is is devastating and authentic. The film is more affecting than the book because real views of industrialised Yorkshire and the old fashioned (now pretty much extinct) Barnsley accent can't translate into a book. The Princess Bride by William Goldman - A few scenes are missed out but never the best ones, and Buttercup's character is altered to make her more pure and less of a complainer. I prefer the Buttercup, and the Westley, in the film version, both versions are heartfelt and genuinely laugh out loud funny. Plus Peter Cook isn't in the book! The Wizard of Oz by L. Frank Baum - The difference between the film industry in the 1930's and the 2000's is never more apparent that when comparing 'The Wizard of Oz' (1939) and 'Oz the Great and Powerful' (2013). One is a a beautiful, subtle, well made piece with unknown casting and a show stopping song that will go down in history, the other is a bloated, celebrity laden McDonald's advert with a terrible script and even worse 'effects'. This also highlights the fact that the source material doesn't really matter - if you try hard enough the originality and subtlety can be sucked out of anything. A good book really does help though! Little Women by Louisa May Alcott - Perfect, old fashioned, evocative book - perfect, old fashioned evocative film. Sometimes feeling like you live in a innocent, rose tinted version of the late 19th Century is all you need to cure what ails you on a rainy Sunday (see Railway Children/Mary Poppins/almost anything with Hayley Mills in it). I mean the 1949 version of course, nothing with Winona in it is getting on any of my lists. 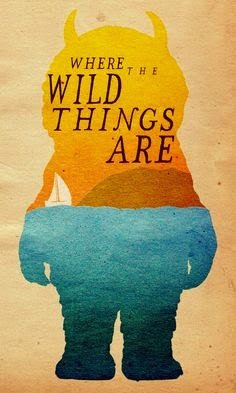 Where The Wild Things Are by Maurice Sendak - Maybe the book is so simple and abstract that Spike Jonze had an easier job than most, however both the oddness and hidden depth of the seemingly simple little book are captured in the film and it works beautifully. In some ways it is a big glossy film, but care has been taken with the little things, and the simple message is the same. 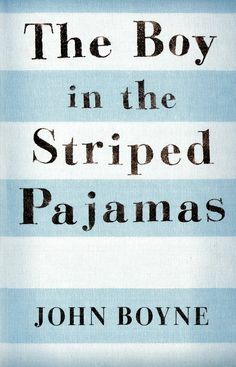 The Boy in the Striped Pajamas by John Boyne - I actually don't think the film adaptation of this book is very well made and it feels very fake to me - however I used to be a school librarian and the effect that the book (which was on the syllabus) and the film had on even the most jaded year 10's was undeniable. I think the film and the book work perfectly for the age person they are aimed at, and serve a very important purpose with a cleverly written message. The end of the film, however much we adults know how contrived it is, is still absolutely devastating. So, we have said a good book is a good base to make a good film, but the two are not mutually exclusive. I now present to you an exception that proves the rule - Roald Dahl. 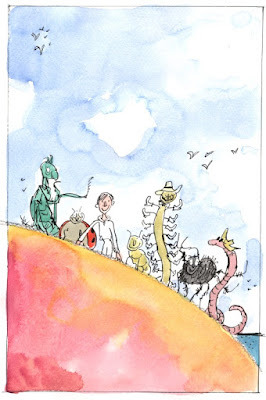 There is no bad Roald Dahl book and there is no bad Roald Dahl film - certainly there are less fantastic films, but every single one has an odd charm that I find it hard not to be drawn to. Maybe is the author is so so good, any film extracted from their book, however far it may stray from the original text, is always grounded by that fantastic story? 1971 film - Weird, very of its time, too American BUT has Gene Wilder, psychedelia and I watch it every time it is on TV. 2005 film - glossy, even weirder, already dated, Depp overacts BUT the kids are great, its very funny and despite my better judgement I really enjoyed it. 1996 film - I do not know a single person in Britain my own age that doesn't adore this film. The mix of dark live action and escapist lively animation works beautifully and, whilst I prefer the book, this is an odd little classic that I will watch with my own children. 1996 film - very very American, brash and the ending changed for the worse BUT Pam Ferris as Miss Trunchbull is perfection, you are completely on side with Matilda, and her parents are even more vile as Americans. 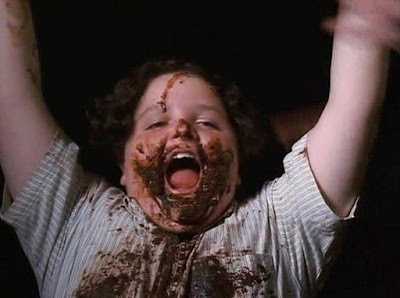 The film is just different enough in my opinion, if it were more similar you would miss the lovely Britishness that is missing, but the obnoxious parents are spot on, and the scene where Trunchbull is hunting Matilda in the big house is still really scary. Lovely film. 1990 Film - It might feel a bit cheap and cheerful like a lot of 1990's kids films and the boy is irritatingly American BUT there aren't many actresses of a higher calibre than Anjelica Huston, the detail of the grandmother really being Scandinavian is lovely and the witches are properly scary, much more so than modern children's films. 2009 film - It bears very little resemblance to the book, they should have just called it 'Fox and Friends' or something and I would have loved it. It feels like the makers were cashing in on the books reputation but actually just doing whatever they wanted BUT the stop motion animation is fantastic and the film is actually great as a stand alone. 1989 film - There is nothing wrong with this, maybe it could be more exciting but I think its glorious. David Jason is the voice over king in my opinion, and he adds a real warmth to the Big Friendly Giant. 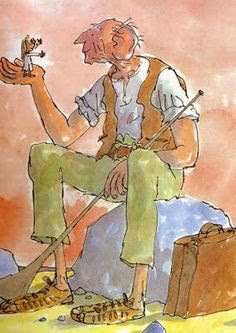 The planned 2016 BFG film may well lay waste to my theory that Roald Dahl is so warm, original. odd, clever and unpretentious that his source material can't be ruined - Spielberg can be a bit twee and sentimental sometimes! I am remaining hopeful though, Mark Rylance can pull it off. So, is the film every better than the children's book? - Yes, but rarely. Does a good book always make a good film? - Hell no, but it really really helps. Can an author be so reliable that their books can't be completely ruined in film? 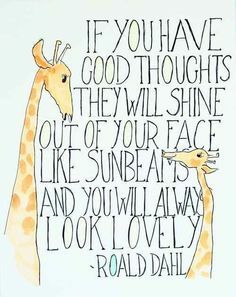 - Probably, but I don't think Roald Dahl himself would agree, he hated all film versions of his work I believe. What have we learnt? 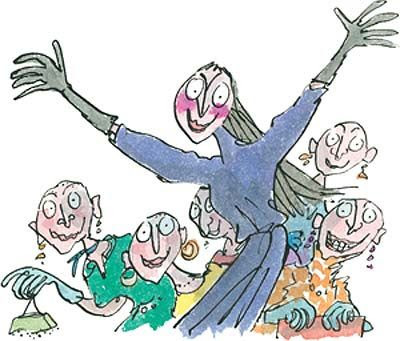 Well, it seems the casting of the main antagonist is the most important thing - a film will probably sort itself out if Anjelica Huston or Pam Ferris are at the centre of it - and no-one writes childhood fear quite like Roald Dahl. The main problem seems to be altering things, particularly if the decisions are based on the film-makers vanity or studio interference. 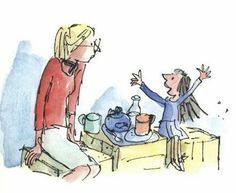 With the Roald Dahl adaptations the main issue is always the Americanised, syrupy endings - Ya'll need to grow a pair! Disclaimer - Yes, a lot of these are 1990's films and I am probably suffering from rose tinted childhood hysteria. I agree! The eye color of characters and their younger flashback renditions always get me. I don't know why it bothers me so much, but someone with brown eyes doesn't magically get green eyes when they turn 40. I think it may be the fault of casting, but it's so distracting! 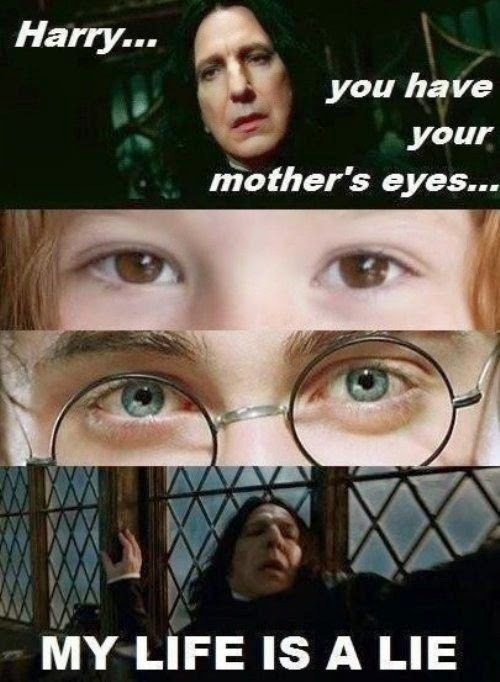 And Azkaban was the most horrible film adaptation I had ever seen. I wrote a paper on it in High School because I was so disappointed in the major plot points taken out. Hmmmmph. Thanks for a post that was very honest! I find fans of the Harry Potter books, particularly those that read them when they were first released, tend to feel upset and disappointed about the lack of care taken with these things - thank goodness. 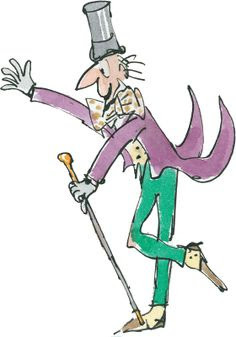 It sometimes feels silly to complain because they are 'just kids books' but there is no such thing as 'just a book' as far as I am concerned, and the author wants us to get entirely involved in their world or they haven't one their job properly!